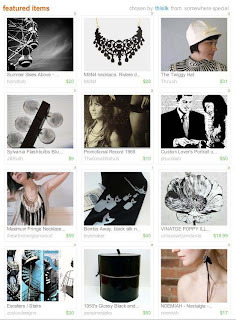 Cool Treasury - Jill Ruth & Co. I really like this treasury I'm in. Those vintage flash bulbs are mine. I'm thinking I want to use that photo again sometime--I just really like it. Thanks thisilk for including me! You can view it here until tomorrow and then it expires. Jill, Thanks so much for stopping by my blog! I'm also enjoying reading yours and am especially touched by your tribute to Jim. He must have been very, very special. PS - the lady who grew all those lovely orchids says they're a snap to care for and there's no trick to keeping them healthy. So maybe I'll try it someday! oh how i loved this one. i love black and white and hints of color.